Late last week Judge James Robart issued his long-awaiting findings and fact and conclusions of law on the issue of RAND royalties in Microsoft Corp. v. Motorola, Inc. For those of you who haven’t had time to plow through the 207-page opinion, there are good summaries available by Professor Jorge Contreras at Patently-o (http://www.patentlyo.com/patent/2013/04/so-thats-what-rand-means-a-brief-report-on-the-findings-of-fact-and-conclusions-of-law-in-microsoft-v-motorola.html); by Florian Mueller at Foss Patents (http://www.fosspatents.com/2013/04/a-closer-look-at-207-page-landmark.html); and by Jay Jurata, Matthew Poppe, and David Smith at http://reaction.orrick.com/rs/vm.ashx?ct=24F76C1AD3E60AEDC1D180A9D329951CD4BE7BB3D38714DD4CF371647BF8D90DDD78038. Rather than repeat what can be found elsewhere, this essay sets forth a few initial reactions I had as I read the opinion, and that I have not yet seen discussed anywhere else. By way of background, many standard setting organizations (SSOs) require their members to license their standard-essential patents (SEPs) on “reasonable and nondiscriminatory” (RAND) terms. (The alternative term “FRAND,” meaning “fair, reasonable, and nondiscriminatory,” is synonymous with RAND.) SSOs rarely if ever define the term RAND in advance, however; rather, the RAND commitment serves as a backdrop against which SEP owners and potential licensees negotiate. Of course, when negotiation fails, either party or both parties may resort to litigation. Many of the civil actions in the “Smart Phone Wars” that have been raging across the globe for the last two or three years have involved SEPs; most of these cases are patent infringement actions filed by SEP owners. One issue that can arise in such cases is whether an SEP owner that prevails at an infringement trial should be able to obtain a permanent injunction (or, in the ITC, an exclusion order). Until Judge Robart’s opinion, however, no reported decision had addressed the difficult issue of to calculate a RAND royalty. Given this backdrop, Microsoft v. Motorola is in some ways a bit of an oddity in that it is not a patent infringement action, but rather an action for breach of contract. In 2010, Motorola offered to license two portfolios of purportedly standard-essential patents to Microsoft. Believing that the asking price of 2.25% per unit was too high, Microsoft filed suit, requesting among other things a declaratory judgment (1) that Microsoft was a third-beneficiary of Motorola’s RAND commitment to the IEEE and ETSI, and (2) that Motorola had breached that contract. Last year, Judge Robart held that Microsoft was indeed a third-party beneficiary of an enforceable contract. The opinion from last week sets forth the judge’s views as to what a RAND royalty for the patents at issue would be, as well as the possible range of what a RAND royalty could be (which may be relevant to determining whether Motorola’s offer was in good faith). Later this year, a jury will determine whether Motorola breached the contract and, if so, whether Microsoft is entitled to damages for any collateral harms it has suffered. Briefly, Judge Robart concluded that the amount of a RAND royalty should be determined through application of a modified version of the Georgia-Pacific factors that are used to determine reasonable royalties in patent infringement litigation. Among the notable features of his opinion are: (1) the conclusion, correct as an economic matter, that a patent royalty should reflect the value of the patented invention only, and not the “hold-up” value that may result from trying to extract a better deal after a standard incorporating the patent has been chosen; (2) that in industries in which many patents are likely incorporated into a device, courts should avoid “royalty stacking” that would result in aggregate royalties exceeding the value of the device; (3) the recognition that incremental value, i.e., the value of the patented invention over the next-best alternative, is the theoretically correct measure of patent value, though one that may be difficult to estimate in practice; (4) the importance of carefully considering which purportedly comparable licenses are, in fact, comparable to the hypothetical license between the patent owner and the user; and (5) the importance of considering how important (or unimportant) the patent is to the user. Although I cannot comment intelligently on the factual evidence before the judge, his legal and economic analysis is, for the most part, sound. Without repeating what others have already said about the opinion, I’d like to note the following matters that struck me as I read the opinion and that I haven’t seen any discussion of anywhere else. Judge Robart’s analysis arguably departs from a literal application of this factor to the extent he is trying to reconstruct the hypothetical deal the parties would have negotiated before the standard was adopted, rather than at the time Microsoft may have begun using the patents in suit—though he alludes to this matter most clearly in connection with factor 9, “the utility and advantages of the patent property over old modes or devices” (p.38), and he elsewhere states that “RAND licenses can be negotiated after an SSO adopts a standard” (p.29; see also p.159). I have argued elsewhere that such a modification of the relevant time frame is necessary, in the context of SEPs subject to RAND commitments and even in actions alleging patent infringement as opposed to breach of contract, because if the focus is instead on the time (post-standard adoption) that the alleged infringement began, the royalty to be calculated may reflect the patent’s holdup value rather than its incremental contribution to the art. See Thomas F. Cotter, Reining in Patent Remedies: Three (Increasingly Immodest) Proposals, 29 Santa Clara Comp. & High Tech. L.J. __, __ n.43 (forthcoming 2013), available at http://ssrn.com/abstract=2235769. Second, under the willing licensor-willing licensee analysis that applies in patent infringement actions, the premise is that the licensor and licensee both knew that the patent was valid and infringed. See, e.g., Lucent Technologies, Inc. v. Gateway, Inc., 580 F.3d 1301, 1325 (Fed. Cir. 2009). Though counterintuitive, this assumption makes economic sense in the context of an infringement trial. To illustrate, suppose that (at the time infringement began) the user would have agreed to pay the patentee $1 million, discounted by an 80% probability of infringement and an independent 70% probability of invalidity; the royalty would have been $560,000 (i.e., $1 million x 0.7 x. 0.8). If the patentee could recover only $560,000 in damages if the case went to trial, however, her expected recovery prior to filing the complaint would be only $560,000 x 0.7 x 0.8 = $313,000. The unrealistic-sounding assumption that the parties would have negotiated on the understanding that the patent was valid and infringed means that the patentee should recover $1 million if she prevails at trial (something she has a 56% chance of doing), and thus avoids the double discounting problem. See Stephen Kalos & Jonathan D. Putnam, On the Incomparability of “Comparable”: An Economic Interpretation of “Infringer’s Royalties,” 9 J. Proprietary Rts. 2, 4-5 (1997). In a breach of contract action such as Microsoft, however, there has been no determination that any of the patents at issue are valid or infringed. Using the preceding example, the uncertainty over the patent’s validity and infringement means that the appropriate royalty would be $560,000, not $1 million. Thus in Microsoft, Judge Robart correctly took into account the possibility that Microsoft was not using some of the Motorola patents at all. See, e.g., pp. 92, 93, 105-06, 121. Notice, however, that this means that a RAND royalty calculated in a breach of contract action ought to be lower than a RAND royalty awarded for the very same patent or patents at the conclusion of an infringement action—a counterintuitive, but I think economically correct, result. Third, in some instances Judge Robart was convinced by neither side’s conclusions regarding valuation and simply proceeded on his own. See, e.g., pp. 112, 116. Contrast this approach with that of Judge Posner last year in Apple v. Motorola, who when convinced that neither side’s damages experts had tendered admissible opinions dismissed the action altogether, on the ground that there is no right to proceed to trial for a judgment of nominal damages. In such cases, should the trier of fact attempt to reach a reasonable result notwithstanding flaws in the evidence—and if so, on what basis—or is dismissal the proper option? Should it matter whether the relevant portion of the trial is to a jury or to a judge? Should it matter whether the party with the burden of proof is the patentee (as in Apple) or the user (as was the case, presumably, in Microsoft)? where A+ is the revenue the firm would derive from licensing its patents outside the pool (the RAND royalty); A– is the revenue the firm would pay to obtain access to others’ patents; and OC is “the opportunity cost of not joining the pool.” (Apparently the assumption is that, except for the firm that is deciding whether to join the pool, all other firms with relevant patents are in the pool; otherwise there should be a A– term, though perhaps of lesser magnitude, in the first equation, shouldn’t there?) Comparing the two, Judge Robart concluded that, because Motorola’s patents contributed relatively little to the standards at issue, it was fair to assume that VP = VA (and hence that the opportunity costs “cancel out,” as does the IP term if we assume both firms benefit equally from having access to the other relevant SEPs). Moreover, he assumed that P+ = E, based on the inference that “the external value of joining the pool is equivalent to the royalty deficit Microsoft incurs through pool membership”; that 2P+ = P–, based on evidence that Microsoft paid twice as much in royalties to the pool as it received in licensing revenue from the pool (and the assumption that Motorola would have fared no better); and that A– = 1.5P– = 3P+, on the assumption that non-pool royalties would be about 1 ½ times greater than pool royalties (“higher than the pool rate, but not twice as high because some, if not all, of the companies holding SEPs would be subject to the RAND commitment”). Substituting values, we get A+ = 3P+, meaning that the RAND royalty is three times the pool royalty. I think there are some errors here. First, it seems to me that the opportunity cost of not joining the pool is VP, and that the opportunity cost of joining is VA (right? ), though ultimately this factor does not wind up mattering to the judge’s analysis and (I think) shouldn’t matter in terms of comparing the value of joining the firm versus the value of abstaining. Second, and more significantly, I’m not sure why we should assume that VA = VP, even if there is reason to think that Motorola’s patents are relatively low in value. Motorola itself apparently though that VA ≥ VP or it would have joined the pool (though to be fair, the judge is using this analysis to calculate the low end of the range). Third, I think that the judge errs when he states that E “is equivalent to the royalty deficit Microsoft incurs through pool membership,” that is that E = P+. He’s conflating E with IP + E. From his earlier analysis, all we can say is that, for VP to be positive, P+ + IP + E > P–. Thus, at best, even if the assumption that A– = 3P+ is correct, I think all we can infer is that A+ ≥ 2P+ + E. So the RAND royalty is at least twice what the pool royalty would be, plus some increment for the intangible value of being a pool member. It seems to me that the low end of the RAND range therefore would be just twice the RAND rate, not three times; in theory, E could be as low as zero. If anything, though, the error works in favor of Motorola, but I don’t think Microsoft will make much of it since the overall thrust of the opinion strongly favors Microsoft’s position. (And, to reiterate, my analysis is preliminary and it’s possible that I have overlooked something important; a 207 page opinion is a lot to digest, even over the course of a week). For a contrary view, however, see Dennis Carlton & Allan L. Shampine, An Economic Interpretation of FRAND, at p.13, available at http://ssrn.com/abstract=2256007 (arguing that, in the context of FRAND royalties, a firm that succeeds in proving infringement of its SEP should not be able to recover more than the pre-litigation FRAND rate). The first notable thing about the article is the title: “The Patent, Used as a Sword.” A common misconception of patents is that they entitle inventors to practice or make the process or thing they invent. They don’t. A patent is only a right to exclude others, not a right to do or make any process or thing. 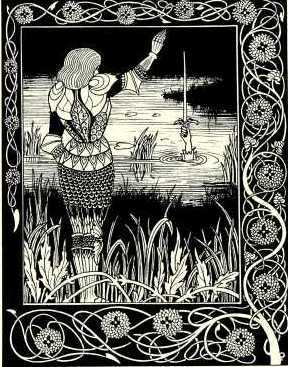 To use the author’s paradigm, a patent is always an Excalibur, never an Aegis. A patent is a right to sue someone else who makes, uses, offers to sell, or sells any patented invention. See 35 U.S.C. § 271. It’s not a right to do any process or make something, even if the patentee invented that process or thing. A classic example involves mouse traps. Suppose Mike invents and patents the mousetrap that eliminates 95% of the mice that attempt to take cheese from it. Katy sees Mike’s patented mousetrap and patents an improved version of it, which eliminates rats 99% of the time. Suppose Mike’s patent covers a one-spring mouse trap, and Katy’s patent improvement is directed to a two-spring version. Katy has no right to make, use, or sell her improved mousetrap without Mike’s permission. Mike’s patent covers any mousetrap having one spring—including those that have one spring plus other springs. Mike’s patent is a “sword” against any later mousetraps that have one (or more) springs. If Tom comes along and invents an even better three-spring mouse trap, he can’t make or sell his mousetrap without Mike’s and Katy’s permission. An early, broad patent will cover later innovation that falls within its scope. That later innovation is subject to the earlier patents that cover it, and later innovators may not have the right to practice their innovation, even if it’s new and non-obvious.